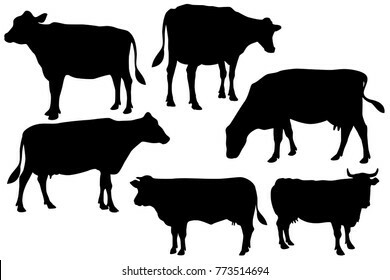 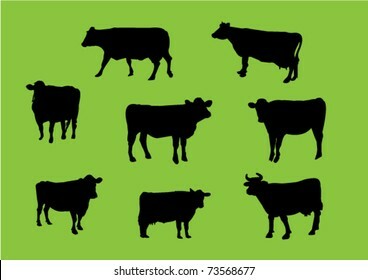 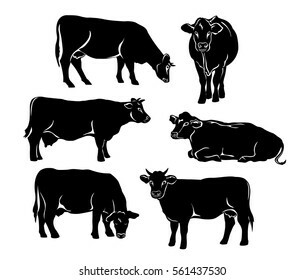 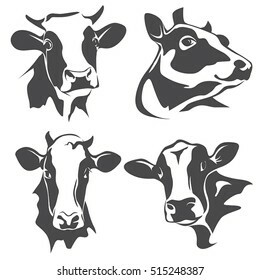 Vector set of a stylish spotted holstein cows. 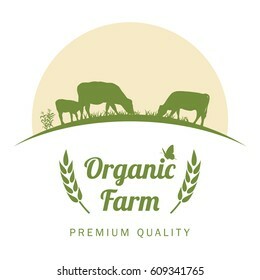 Emblem, logo, label designs. 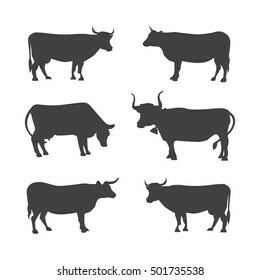 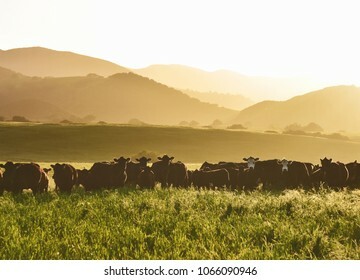 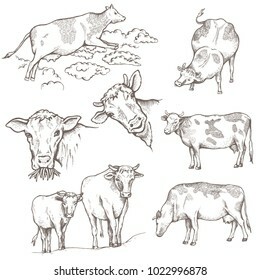 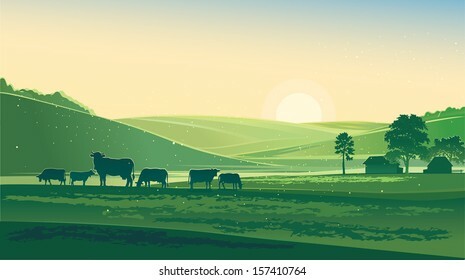 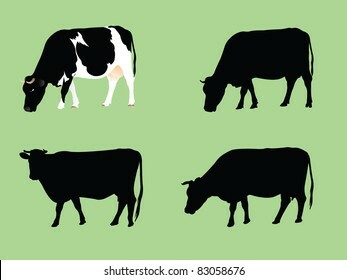 Set of different cows, isolated. 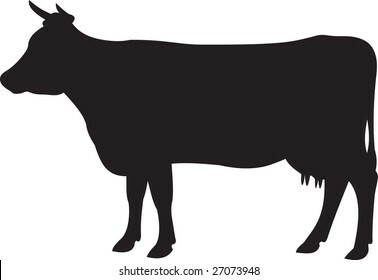 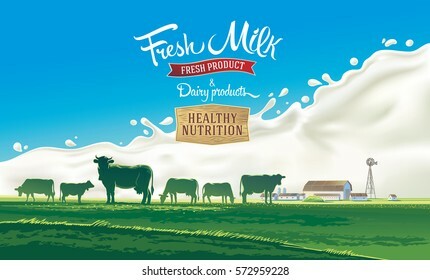 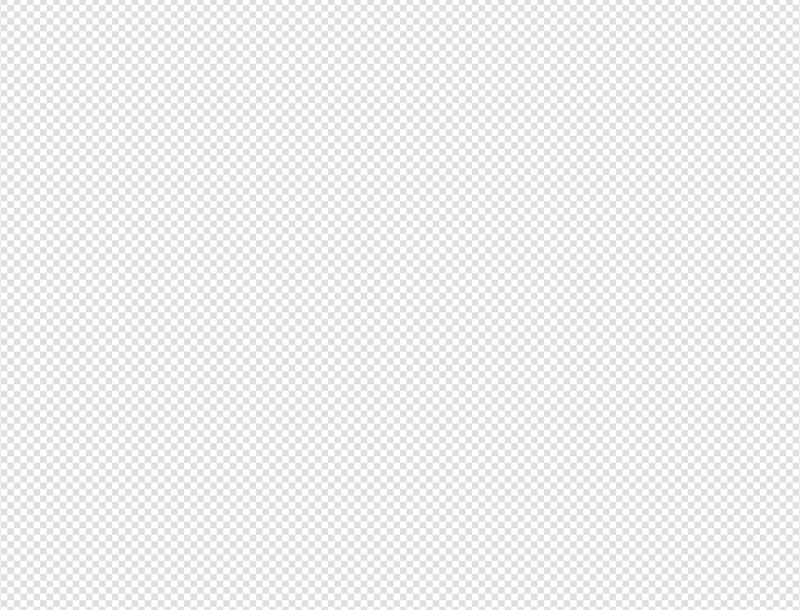 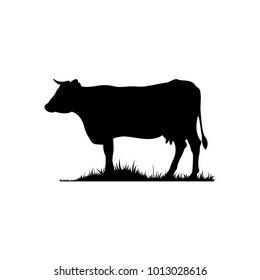 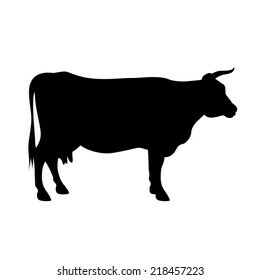 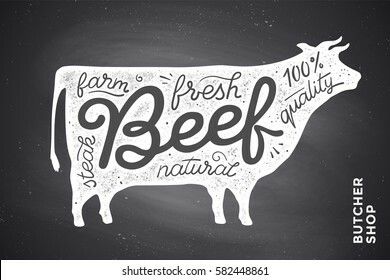 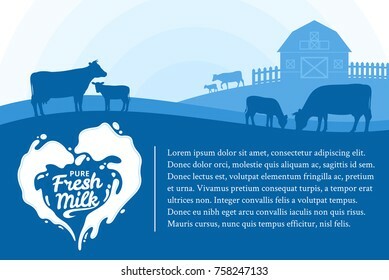 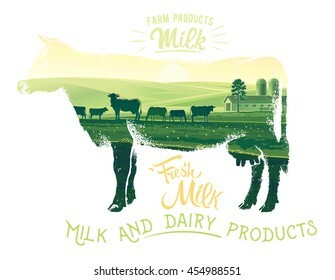 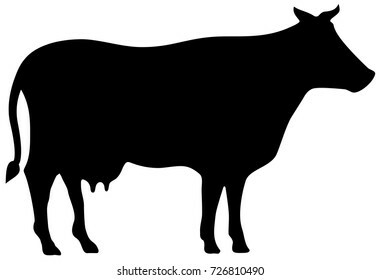 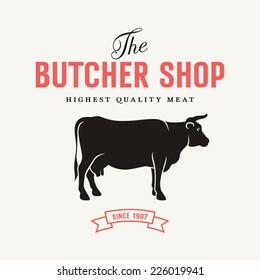 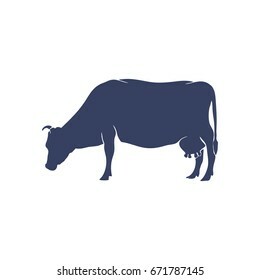 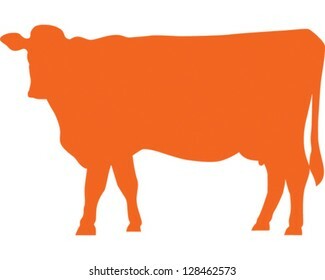 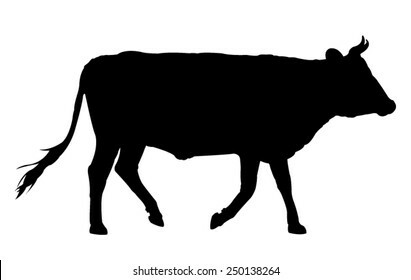 Vector illustration of cow silhouette. 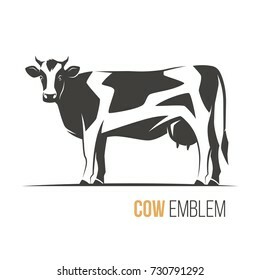 Vector illustration of a stylish spotted holstein cow. 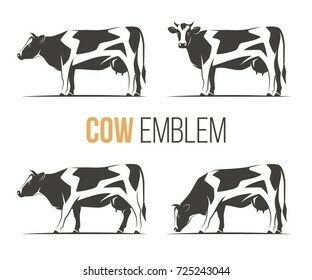 Emblem, logo, label design. 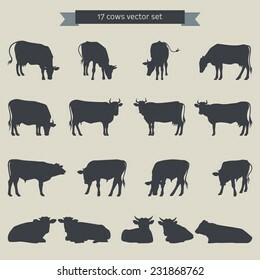 Cow set. 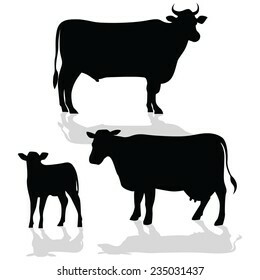 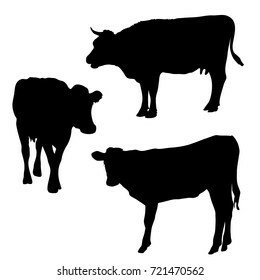 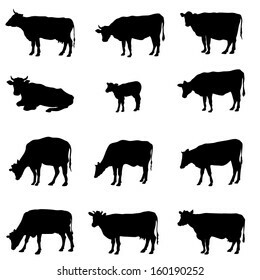 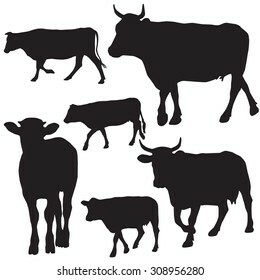 Livestock silhouettes. 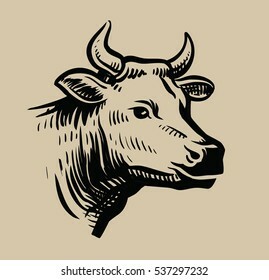 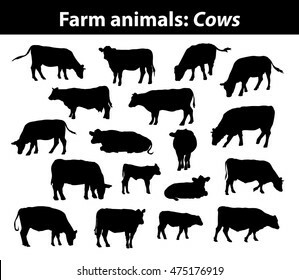 Farm animal sign collection.